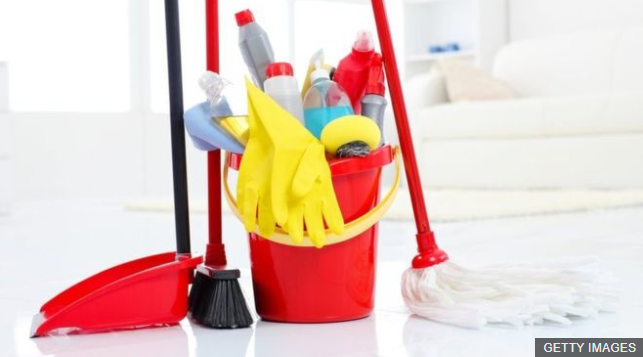 New research finds that regular exposure to cleaning products will have a detrimental effect on the lungs. The chemicals used in modern cleaning products are causing damage to the airways of the respiratory system. Thus, it is highly recommended that homes should remain well-ventilated during cleaning and liquid cleaners should be used instead of sprays for us to keep our lungs healthy. The author of this article also highlights that the University of Bergen from Norway recommends the use of Microfiber cloths and water for cleaning purposes, instead of harsh heavy duty chemical products. Not only with this save your lungs from being exposed to harmful chemicals, it will also save you tons of money. When plain water will suffice why should you expose yourself and your family to such damaging substances. Most medical practitioners are aware of the above and suggest alternatives to the same, however, managing the information flow from research to the front-line nurses and doctors requires management of the information. How is this achieved? By understanding the business of health management. It is scary isn’t it, to relate the term business with health management. If you consider insurance, reimbursements, pharmaceuticals, private laboratories and the likes, yes, the medical world is a business, and a very lucrative one at that. Thus, it is essential for medical practitioners to capitalize on this fact and understand the management aspect of health management. A realistic approach to this is through a Master of Business Administration specialized in Health Management through Edinburgh Napier University. This programme is 100% online and allows you to implement (almost instantly) the knowledge and information gained on the programme to your medical practice. The Online MBA from Edinburgh Napier University is designed for the working professional looking to advance their professional qualifications and career prospects all without taking a break in their career. The programme is assessed via assignments only and real-world case studies help students objectify the concerns in their companies or medical practices. The University itself is among the top ranked young Universities in the UK and is ranked as one of the top 5% of universities worldwide. It also has a 95% graduate employability rate which is assessed on the basis of graduates finding employment or pursuing higher education within 6 months of completing their course. Explore the courses and programs offered; in the fields of business, management, health, nursing, transportation, construction and more; by this institution in a distance learning format.